The Torque explored using the neck as a location for hosting a mobile life-logging device with an audio interface. Neck worn forms afford discrete, private, physical forms that are easily hidden by a collared shirt or clothing and easily mistaken for jewelry. Location the device on the neck also provides excellent biometric sensor placement, and enables logging of spatialized audio, as sensors can be located in opposition around the sagittal plane. Ring location offers them a number of unique affordances. For this project I developed a wireless ring-based accessory enabling the user to conveniently and covertly observe and acknowledge incoming messages. The system also provided a subtle way for the user to annotate in life logging applications. Device escalation has been a reoccurring theme in my mobile work. The goal is developing a cohesive user experience that spans multiple devices by designing the experience so that it gradually increases its presence in the user's life. This work examined how escalation of mobile alerts could be improved by escalating the alert off the phone - first to a ring - and then to glasses. The escalation minimizes the amount the alerts intrude on the users life, and enables coverage without requiring the user maintain such tight proximity with their phone. The project explored redirecting the camera on the phone to provide gestural controls. 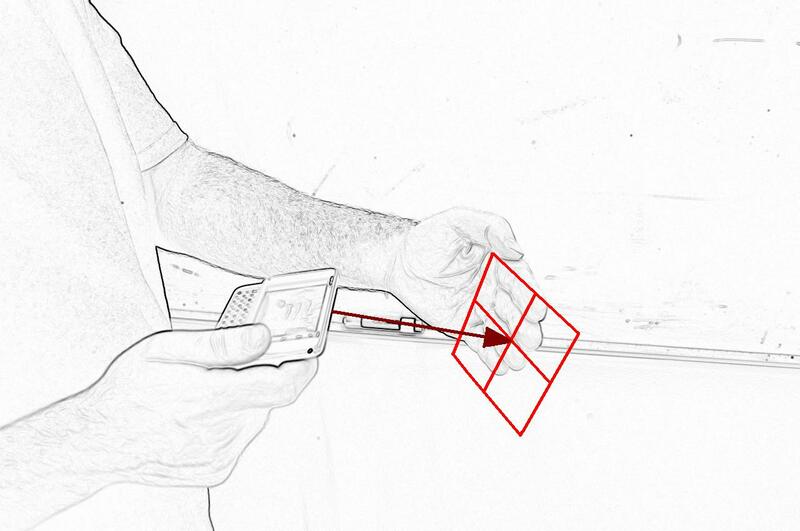 The work developed into an exploration looking for the pinch-zoom touch screen equivalent gestures for augmented reality applications on the phone. Several example gestures for providing verniered control over depth, angle, and rotation were developed. The project explored pushing live tiles, apps, and streaming data off of the phone and onto physical tiles found in the users environment. This project explored how mobile devices can best provide projected collaborative user interfaces on convenient horizontal surfaces. It appeared to the participants that their phone was generating a projected interactive surface. This let me study where the users deployed and re-deployed the phone when initially setting up a projected interface, and how deployment location impacted collaboration and user interface effectiveness. I was also able to look at what caused users to re-deploy, and where they redeployed, in response to variables such as number of collaborators, table height, and application. My interests in horizontal interactive surfaces lead me to research how variables like table size, shape, and collaborator distribution effect the user interaction with on table applications. I ran a number of studies testing on table reach, an using the results to develop mathematical models to quantifiably predict reachable space on the table based on the table’s height, shape, and the users anthropometric dimensions. Building on my models predicting user reach, I ran studies observing table usage. From their results I developed models that could quantifiably predict where on the table a user would preferentially store, sort, and manipulate items, and how those regions and patterns of table use would change with the presence of collaborators. Currently mice are largely input devices. As part of an industrial design collaboration I explored ways for the mouse to afford the current usability of the area below the cursor. 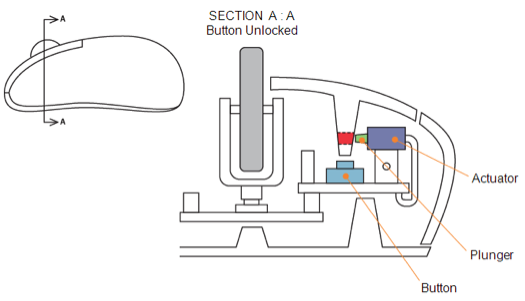 In the end I designed an electrically actuated bistable mechanical actuator to provide software control over locking the mouse buttons, preventing them from being depressed. Locking the button was used to afford the click-ability of the current selection. Detents are the little tactile “clicking” sensations you feel when spinning a mouse wheel. Detents help afford a quantitative sense to the angular rotation of the wheel. 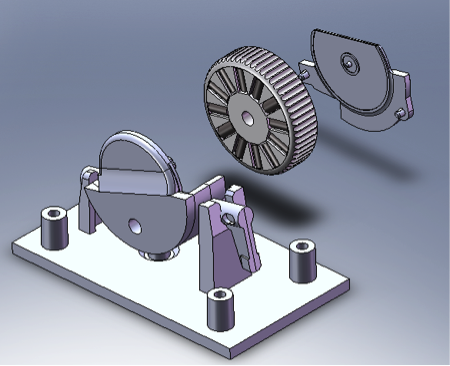 This project developed ways to magnetically generate detent force –providing a programmable number and strength of detents, as well as a way to lower COGs by magnetically tracking wheel rotation.